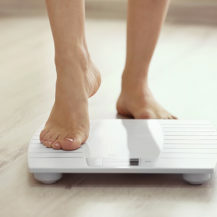 Want to know how to lose weight efficiently without going on a strict diet? While eating a healthy, balanced diet that’s sustainable is always a good idea, there’s no need to cut out entire food groups, starve yourself or resort to weight loss pills and shakes to lose a few kilos. 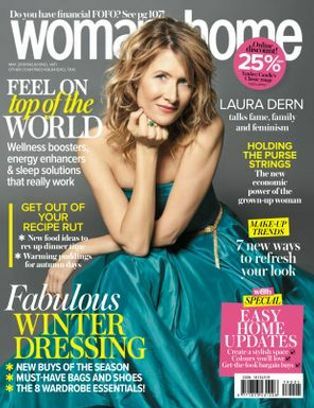 A few smart little lifestyle changes that can make your waist look slimmer and help you feel better is what we’re after! 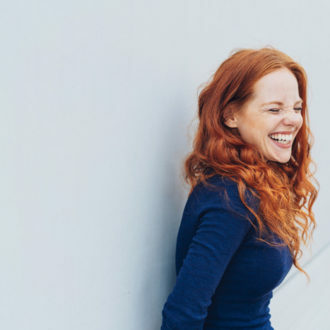 We asked a few well-being experts for their best-kept weight loss secrets… and this is what they had to say. “Add an extra 10 minutes to your walking regime,” says Dr Marilyn Glenville, a leading nutritionist who specialises in women’s health. “You won’t even notice you’re doing it and it makes such a difference.” Another 10 minutes onto your three brisk walks each week racks an extra 705 kilojoules in total. Enough to make that caramel café latte a regular, guilt-free Friday cheat! Don’t have more time to exercise? Try a high intensity workout that burns more kilojoules in less time. We love rebounding (bouncing on a mini trampoline) because it’s a full body workout that torches kilojoules and builds lean muscle at the same time. Plus, it works every cell and muscle in the body, while stimulating blood circulation and lymph drainage throughout the body, which makes it a great workout for reducing cellulite and detoxing too! Sweet tooth still wrecking your diet? A combo of three homeopathic remedies could help. Calc Carb to reduce bloating and excessive appetite, Fucus to speed up metabolism and Lycopodium to reduce sugar cravings. Taking a combination of these for a couple of months should help beat sugar addiction says pharmacist and homeopath, Margo Marrone. Contact your homeopath or health shop to have a tincture made up. Feel good tip: Feeling a little peckish? Phone a friend! The chat will perk you up and take your mind off food, and while you’re talking, you can stand up and pace around. Heavier people sit on average two and a half hours more per day than thinner people. This doesn’t mean you have to go on a high protein diet, the key is to figure out how much protein you need for your body type, depending on your weight, height and activity levels. According to experts at Harvard Health, the Recommended Dietary Allowance (RDA) for protein is a modest 0.8 grams of protein per kilogram of body weight. The RDA is the amount of a nutrient you need to meet your basic nutritional requirements. 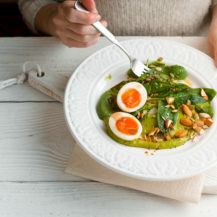 Protein is important for weight loss because studies have shown that it helps to keep you fuller for longer, and it’s necessary for muscle growth and cell renewal says Dr Glenville. 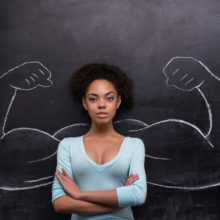 Remember, the more muscle you have, the higher your resting metabolic rate and the more fat you’ll burn, even at rest. This is because muscle tissue burns more kilojoules than fat. The best sources of lean proteins come from animals in the form of fish, meat, chicken and eggs. However, if you’re a vegetarian, you’ll also get plant-based protein from quinoa, nuts, lentils and pulses. Also, the combination of brown rice and lentils forms a complete protein with all nine essential amino acids. Squeeze it onto your meals, says world-renowned nutritionist, Patrick Holford. Lemon is acidic and slows down the stomach emptying, which makes you feel fuller for longer. This works really well over salads, fish and veggies such as spinach – as it punches up the iron. Begin at your left hip, then sweep across to the right. Move up to the lower right rib, across to the left rib, and down to the left hip again to make a square shaped movement around your navel. The tastiest of the no diets tricks! Research shows that it helps to reduce free-radical damage and promotes long-term health and vitality so you’ll look and feel younger for longer. Recent studies also suggest that cherries could be useful in reversing metabolic syndrome, preventing type 2 diabetes and could also aid weight loss, particularly abdominal fat. Bingo! 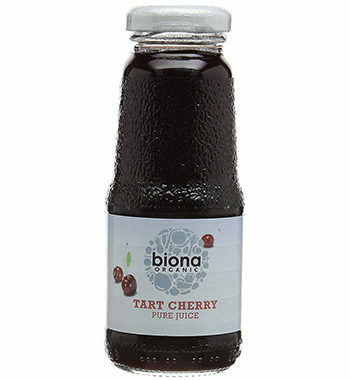 Try Biona Tart Cherry Juice, from R99 for 1 litre, made purely from fresh, pressed cherries. We’re not talking about the fizzy, sugary variety. Nutritionist, Ian Marber has a smoother way. “Slice a cucumber into thin strips, leave in a jug of water overnight, then discard the strips and enjoy the slightly sweet flavour the next day.” Cucumber is packed with a variety of vitamins and minerals, plus antioxidants and it’s been found to aid in weight loss and lower blood sugar levels. For a sweeter kick, add strawberries and a few mint leaves.